Newport Center Animal Hospital provides many pet boarding options that go beyond dogs and cats. Our smaller pets are kept calm and separate from our other four-legged friends. 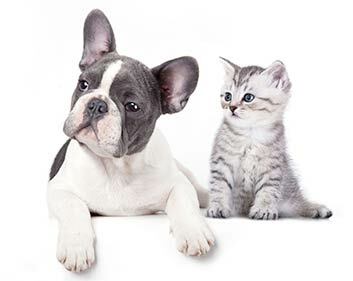 Our facilities can accommodate all your small pet needs! For more information please feel free to give us a call at (949) 644-5460. We offer boarding for a variety of small animals. We do have suites that can board rabbits, guinea pigs and turtles, but we do require personal cages for all other pets. Please call us for pricing and availability. Some cats crave attention! We offer kitty cuddles to cater to our friendly felines who enjoy human interaction. We take your cat(s) into an exam room and let them have free reign.Some cats like to explore and chase a laser while others just enjoy relaxing in one of our caretakers’ lap. All dog suites come with a minimum of 2 walks a day. Each dog is walked separately (unless boarding with another dog) for a minimum of 15 minutes. You can add on extra walks per day if your pet has extra energy. Personal Play provides your dog with individualized play with a caretaker. This 20 minute session is customized for your pet’s ultimate satisfaction. Whether your dog likes to play fetch or simply sit in a caretaker’s lap, he or she is sure to get undivided loving attention.